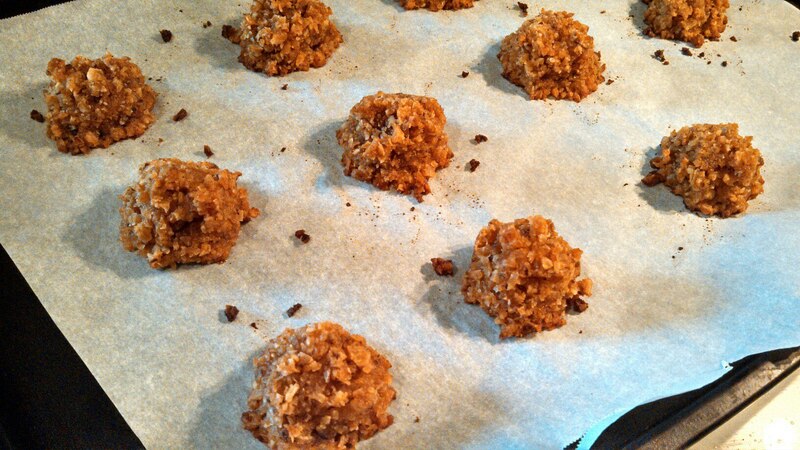 I say adventures because for me it has been an adventure making these coconut macaroons! I had gotten 2 coconuts from Bountiful Baskets, which were a lot of work to prep. First, I poked a hole in each coconut in one of the eyes to get out the coconut water. Once each was drained, I then tapped around it with the back of a heavy knife (not the sharp side). Then, I used a knife to pull the meat away from the shell. There are a few different methods to do all this, and this article, 8 Ways to Open a Coconut, explains it well with lots of pictures. Much better structure, but still too sweet, too much sugar. I still had 3 cups of coconut, so it was time for one last attempt. This time, I started by toasting the coconut in a large skillet on the stove since I didn’t want to heat up my house too much using the oven. 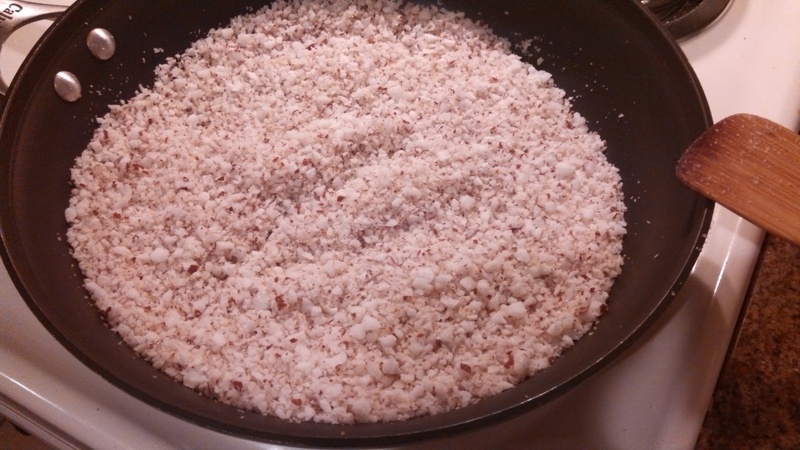 Toast coconut in a large skillet over medium-low heat, stirring frequently, for 15-20 minutes, or until coconut becomes slightly browned. Remove from heat and set aside to cool. In a medium bowl, whisk egg whites, sugar, and vanilla extract until frothy. 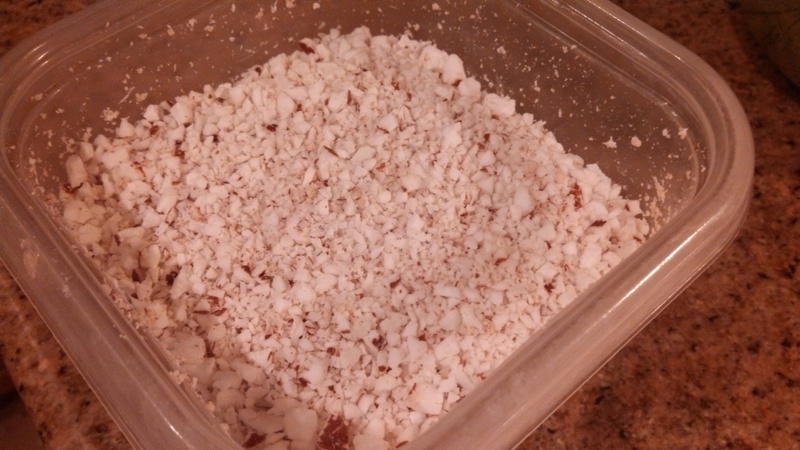 Stir in coconut until just moistened. Line a baking sheet with parchment paper. 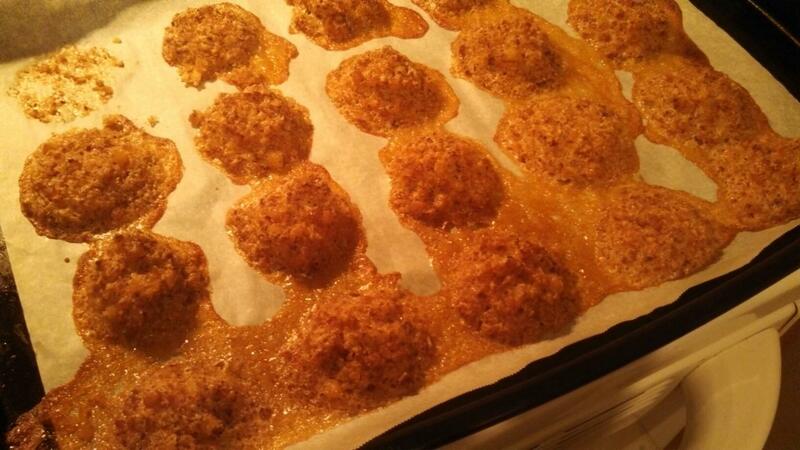 Use a small cookie scoop or a tablespoon to drop mixture into small balls onto parchment paper. Bake in the preheated oven for 15-20 minutes, or until golden brown. For a few different holidays, Bountiful Baskets has a DIY cookie pack available as an extra add-on. This one was for Valentine’s Day, and was $10. We finally had time and were feeling well enough to do this. 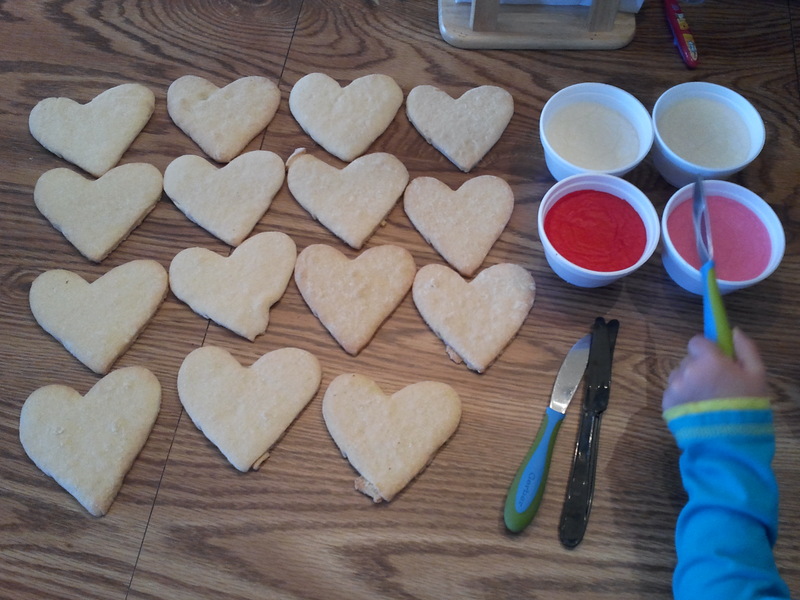 As you can see from the picture above, we got 15 heart-shaped cookies and 4 containers of frosting, 2 white, 1 pink, and 1 red. 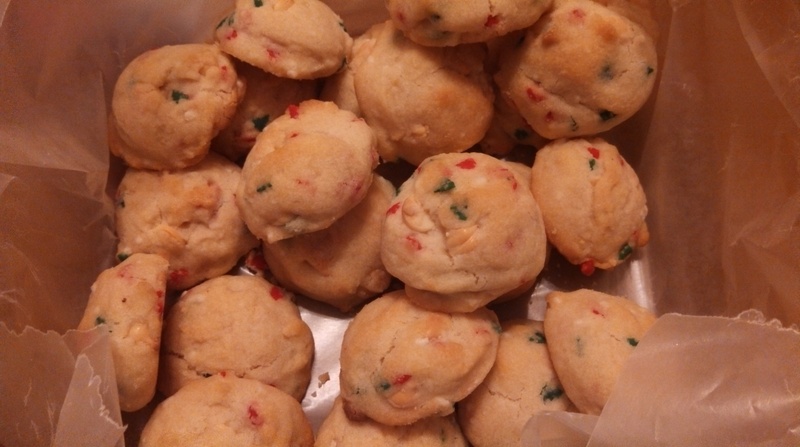 Cookie Ingredients: Flour (cake and pastry), butter, sugar, whole eggs, salt, baking powder, vanilla. Icing Ingredients: Powdered sugar, milk, butter, vanilla, salt, colors. Simple, and I know and can pronounce what everything is! I know that I could make these at home, probably a lot cheaper, but I haven’t had time to make much lately and I’m horrible at baking. My cookies would not have looked nearly as nice or tasted as nice. So, we get the cookie pack and my 2 girls and I have a blast making a mess. It’s good quality time! Yesterday, I had some shopping to do, so my girls stayed with grandma and grandpa (my parents). 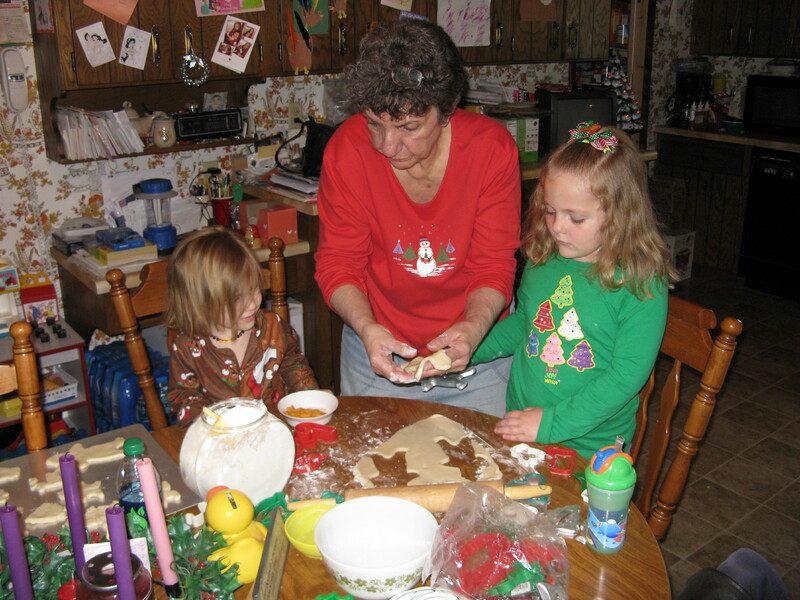 Grandma got a roll of Pillsbury Refrigerated Sugar Cookie Dough, sprinkled some flour on their working surface, and rolled it out to make shapes with the cookie cutters. 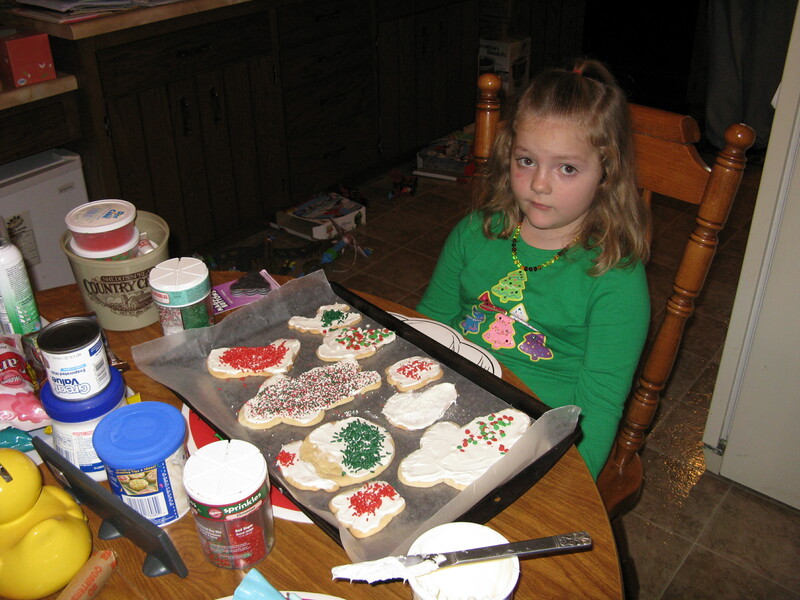 She baked them according to the package directions, then frosted them with a can of frosting from the store, and added sprinkles. My 5 year old helped with the sprinkles, she likes sprinkles a lot. They had a lot of fun doing this together, and it went pretty quick for them. These will be the cookies we leave out for Santa. My mom made these with my kids while I did some shopping today, and they are really yummy, so I thought I would share the recipe. 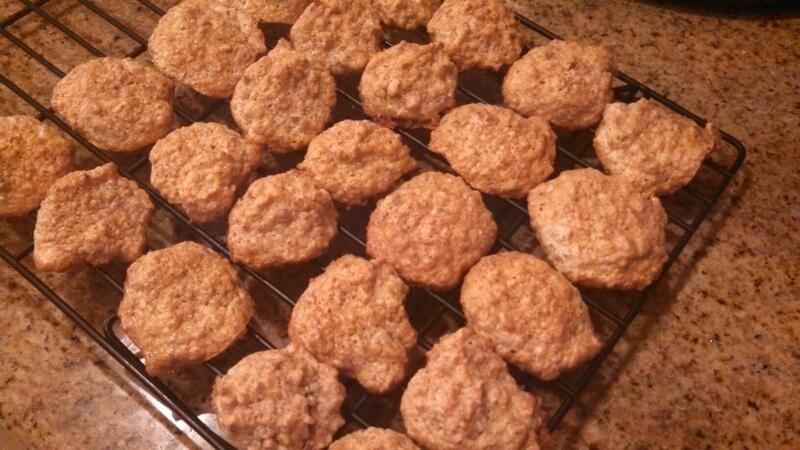 She made these without the coconut and pecans in the original recipe, and I don’t feel like it’s missing it. I think they are just fine without them, but would still be good additions. These cookies are one of my favorites to make, a close tie with good ol’ chocolate chip cookies. What makes them even better? The butterscotch chips were on sale recently AND I had a coupon! 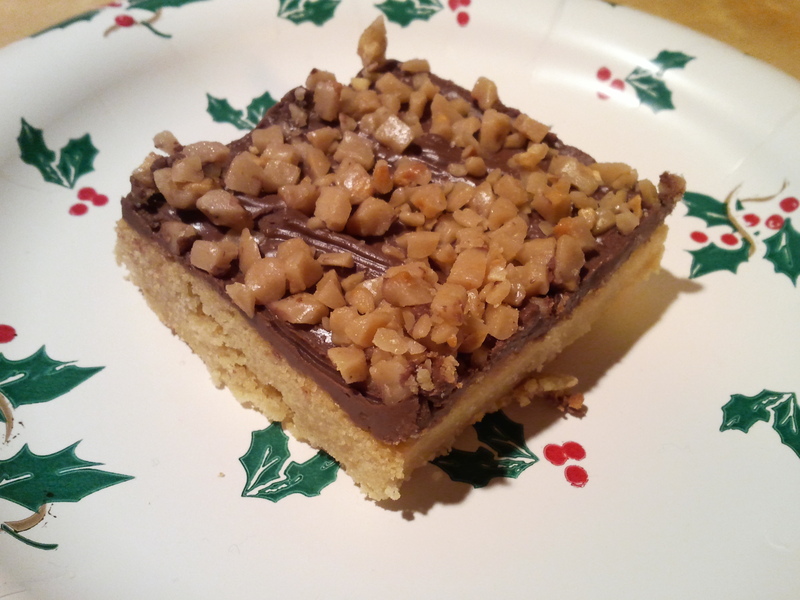 I usually make these as bars instead of cookies, mostly because I don’t have the patience to scoop out dough for individual cookies, then bake multiple pans of cookies. They end up tasting the same. I was so excited to get persimmons last week. 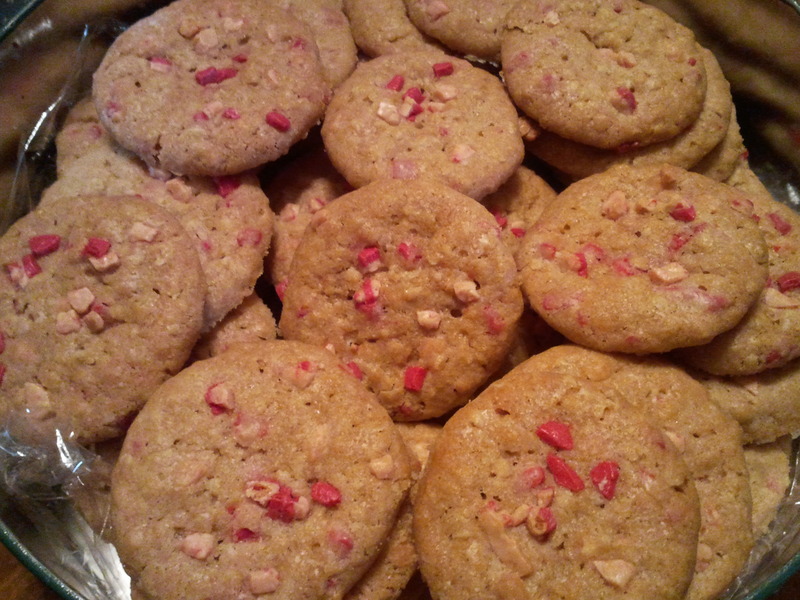 Last year, I made cookies with them that were very good, and I wanted to make them again this year. These cookies are more cake-like, and spiced much like pumpkin cookies. 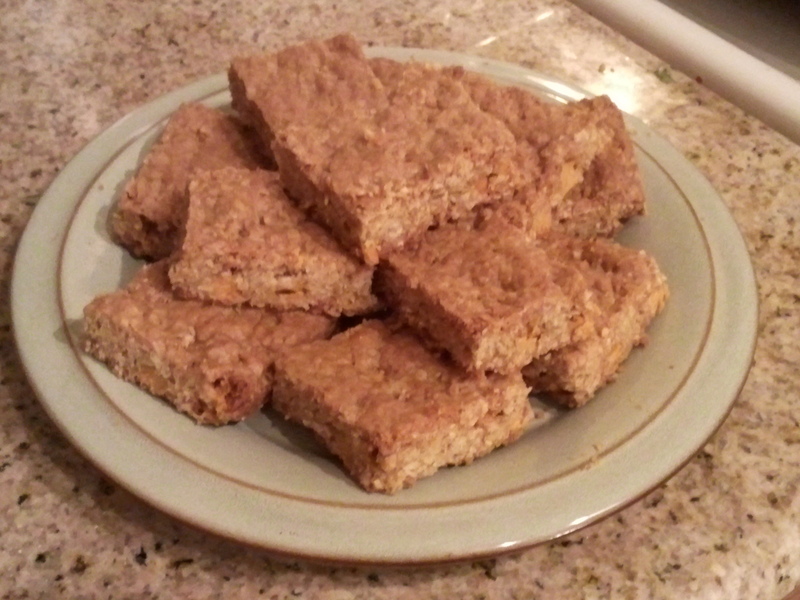 In fact, my husband thought they were pumpkin. They are getting eaten, in fact, this picture should have been a full 2 dozen, but as you can see, there are only 18. First, let’s talk a little about persimmons. There are 2 varieties common in the US, hachiya and fuyu. 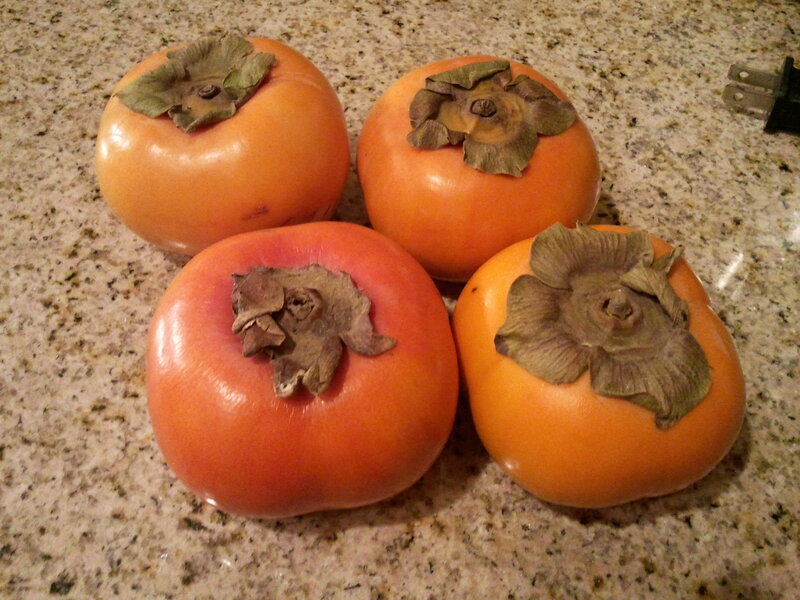 The persimmons I got were fuyu persimmons, which resemble a tomato. They are ripened when they are orange, and can be eaten raw. The hachiya can be eaten raw as well, but you have to wait until they are very ripe, or they will be very bitter. 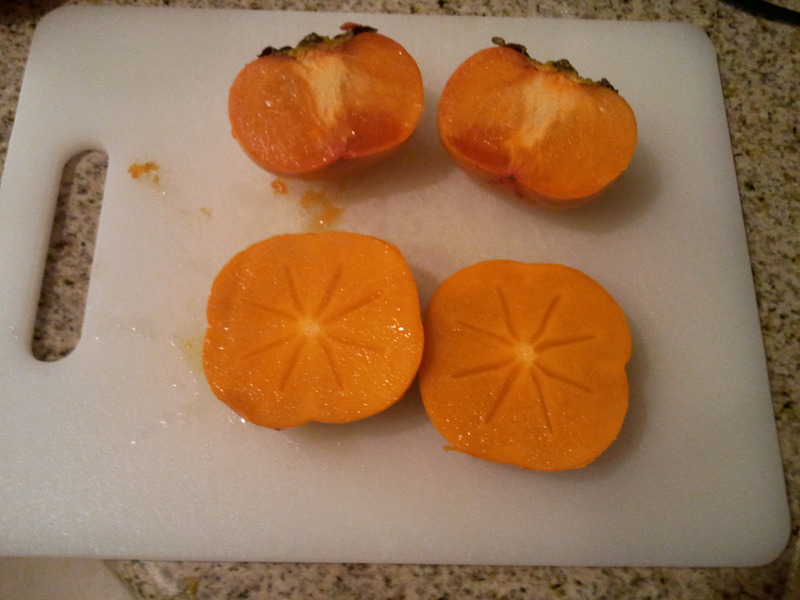 Here are what the fuyu persimmons look like whole, and then I cut them in half each way to show the insides as well. They are quite interesting on the inside. To prepare them, you remove the leaves from the top, then remove the peels. Put them in the blender and puree. 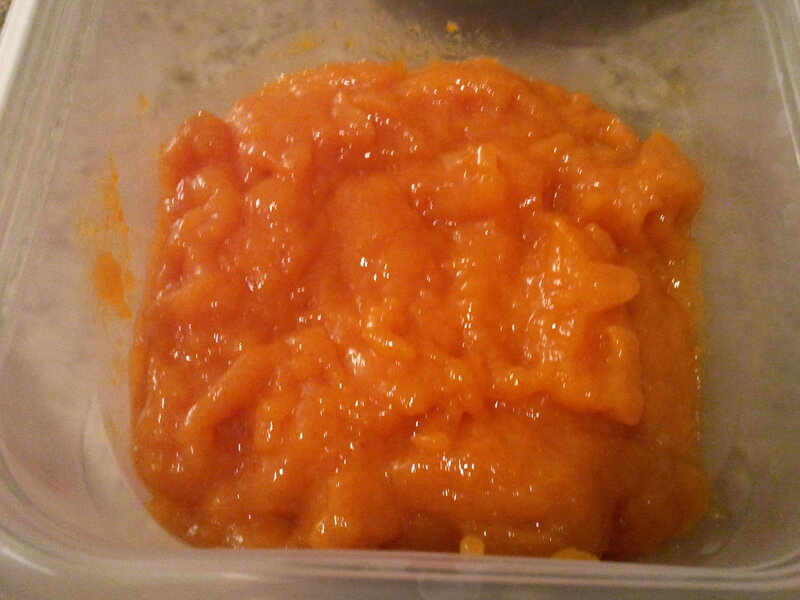 It’s more of a gelatinous puree. 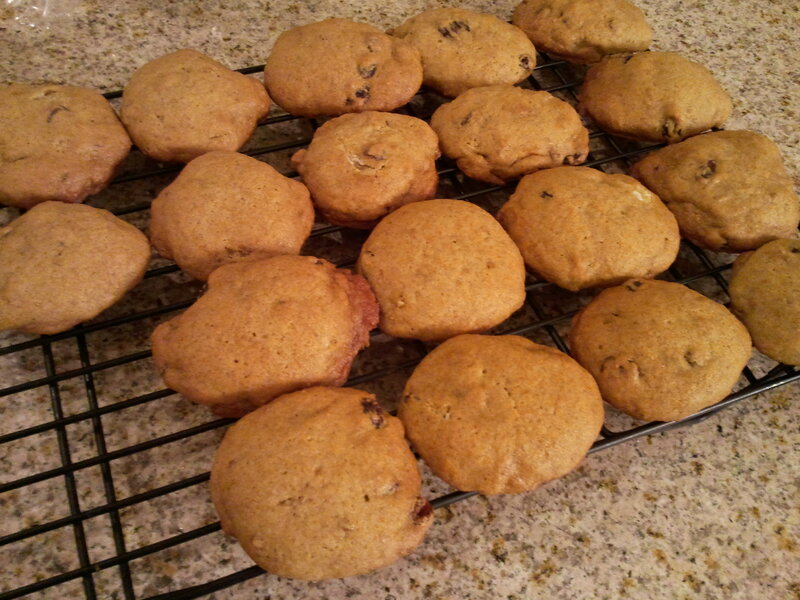 I had 4 persimmons, so I doubled this Persimmon Cookie recipe, but left out the chopped walnuts. We aren’t big fans of nuts. They seem to be a big hit in our house again this year!